The Zimbabwe Human Rights NGO Forum (the Forum) condemns the arrest and detention of Mthwakazi activists, Mayo Ncube, Welcome Moyo, Marshal Sibanda and Wisdom Mkwananzi. 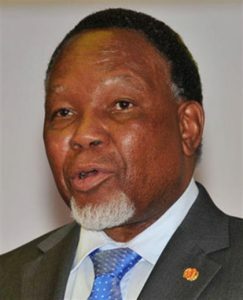 Wisdom Mkwananzi was arrested for allegedly insulting President Emmerson Mnangagwa while testifying before The Commission of Inquiry chaired by former President of South Africa Mr. Kgalema Motlanthe (the Commission). The Commission was established in terms of the Commissions of Inquiry Act [Chapter 10:07] to investigate the 1st of August 2018 post- election violence. The Commission has an obligation to safeguard the security and protection of witnesses, victims and anyone who will interact with it during its duration of work. The events in Bulawayo on October 26, highlight the regrettable failure by the Commission to establish witness protection mechanisms guaranteeing the security of all witnesses that appear before the Commission. The activists were arrested following testimony of Mr. Mkwananzi. The activists were assaulted and arrested before the Commission. The Commission released a press statement in the DailyNews stating that the public hearings were interrupted briefly but failed to acknowledge the arrests and harassment of witnesses. It is vital that witnesses are able to provide oral evidence regardless of political affiliation, ethnicity, religion, gender, or language without fear of reprisal. The complexity of the Commission’s investigative work, as it involves State security agents and ordinary citizens in the August 1, 2018 shootings, requires the Commission to be vigilant in the protection of witnesses. The physical protection of those that have so far testified or intend to must be of paramount importance to the Commission itself. Security officers serving the Commission during its work must be accountable to the Commission. They must be specially inducted in the procedures and ethics for working with victims and witnesses to avoid the unwarranted aggression witnessed in Bulawayo. Following the setting up of the Commission, the Forum developed a set of ten principles for witness protection. The principles were shared with the Commission. The principles are emphatic on the need for the Commission to prioritise the security of the victims, witnesses and human rights defenders who will interact with the Commission. This extends beyond mere declarations that witnesses are safe, but measures must be put in place to ensure that witnesses are safe before, during and after the hearings. On another related note, the Forum decries the continued arrests in the so-called ‘new dispensation’ or ‘Second Republic under draconian insult laws in section 33 of the Criminal Law (Codification and Reform) Act Criminal Code. Wisdom Mkwananzi was charged with undermining authority of or insulting the President as defined in section 33(1)(a) of the Criminal Code. Such undemocratic pieces of legislation must never find any place in a democratic society as they violate the fundamental freedom of expression, which is a cornerstone of democracy. More so, Section 61 of the supreme law of Zimbabwe guarantees the right to freedom of expression. The Forum also reiterates its calls for the government to be open to dialogue regarding our past, including the issue of Gukurahundi. Instead of stifling discussions around Gukurahundi and traumatising an already traumatised populace, the government’s main concern must be directed towards truth telling in order to bring closure for the victims. The Forum calls upon the National Peace and Reconciliation Commission (NPRC) as well as the Zimbabwe Human Rights Commission (ZHRC) to show concern for the people suffering victimisation during the work of the 90-day Commission of Inquiry. Beyond the 90 days since its operationalization, the Commission of Inquiry will pack its bags and return to their normal lives. The wounds of the victims will remain. The dangers of victimisation will remain. The Forum hopes the Commission in its future interactions will put in place measures that guarantee, among others, the respect for confidentiality, equality and fairness and the physical protection of all witnesses. Such measures not only encourage participation but also enhance the public trust in the outcome of the investigation.